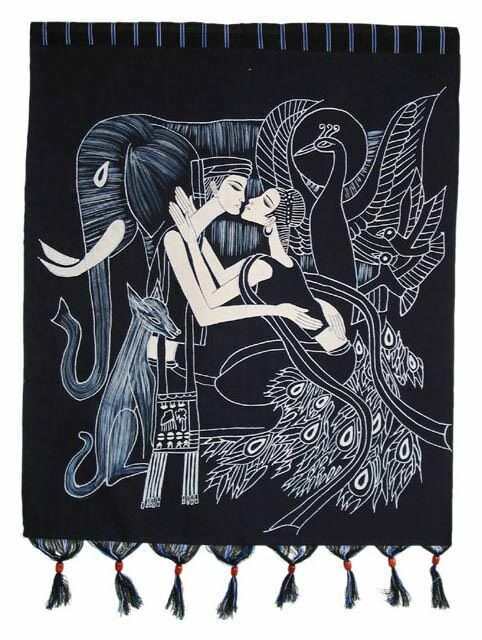 Artwork Panel: 27.4cm x 41.8cm ≈ 10¾" x 16½"
Silk/Brocade: 36.4cm x 99.5cm ≈ 14¼" x 39¼"
Also known as "Lovers Under a Single Umbrella" or "The crow and the heron, couple walking in snow under an umbrella." 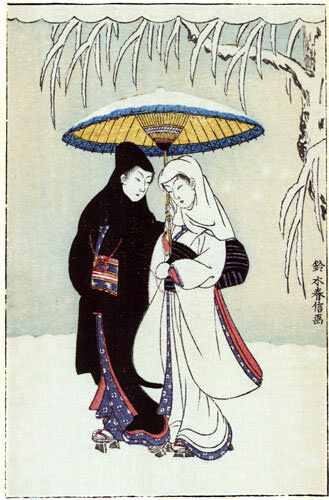 This Japanese woodblock print reproduction features a man and a woman standing in the snow beneath a snow-covered umbrella. 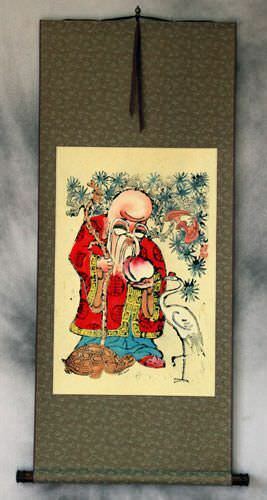 The inscription reads, 鈴木春信画 which means Suzuki Harunobu's picture or print. 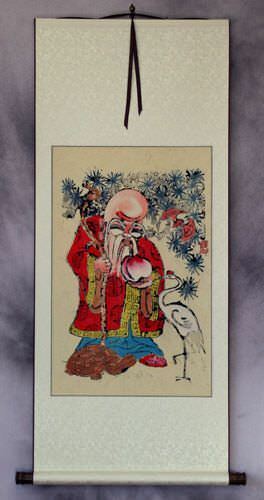 The title most often used for this print in Japan is 雪中相合傘. 雪中 means, "in the snow," or "in the midst of snow." 相合傘 means, "sharing an umbrella," or "under one umbrella." Original artist: Suzuki Harunobu 鈴木春信 (1725–1770). 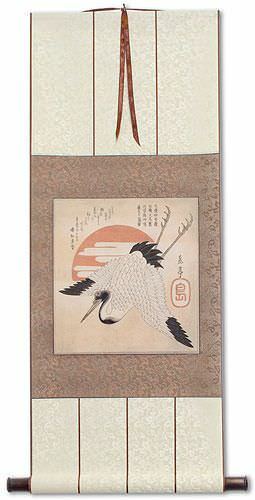 The original woodblock was carved/created in Japan around 1769. Some records indicate it could be as early as 1766 or 1767. There is some suggestion that a couple versions of the woodblocks for this print were created between 1767 and 1769 - this could explain the different time frames for the original print production. Suzuki Harunobu was raised in Kyoto. 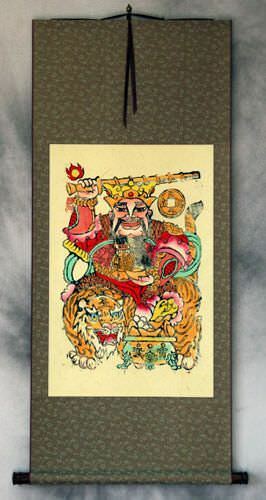 He came from a Samurai family of some standing (though not without some troubles in the family history). Suzuki Harunobu was the first to create full-color prints known as "nishiki-e" around 1765. Up to that time, prints were usually made with no more than three colors from three wooden printing blocks. Suzuki Harunobu's specialties included classical poems and Bijin or beautiful women (often drawn thinner and younger than other artists' work - capturing a more youthful image).